What’s even cuter than a pug? A pug on skates! 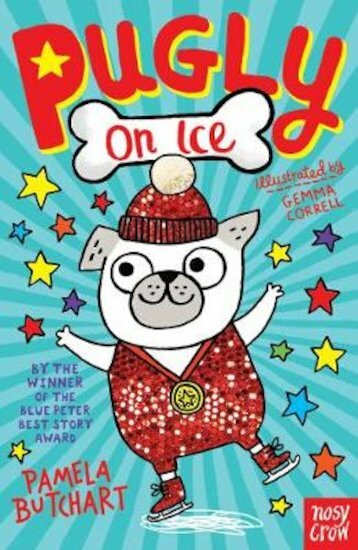 Take a bow, Pugly (or do we mean a bow-wow) – the world’s first ice-skating dog! A new TV show, Pets on Ice, is taking the world by storm. Pugly is ready to win! He has new ice skates and a sparkly new costume, and he’s got his skating moves just right. But someone else wants the gold medal very badly, and they will stop at nothing to get it. Can Pugly prove that he’s a winner – or will he be tripped up?